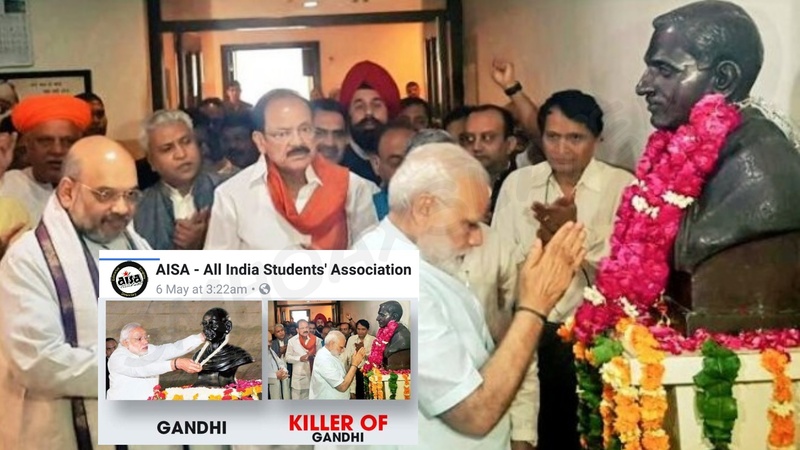 An official Facebook page of AISA posted an image constituting of two images where in first, PM Modi ji was putting garland on Mahatma Gandhi and in other they claimed PM joined hand to respect “Killer of Gandhi” i.e. Nathuram Godse.They have deleted the post on being exposed by others. The second photo which PM Modi joined hands to pay respect was Dindayal Upadhyay.